Who would have thought there’s so much to write about your applicant’s (or employee’s) name and how much it could impact the results of your background check?! Depending on the limitations of the court’s filing system, exact spelling of the name exactly as listed in the court files being the most restrictive, typos could easily result in missed records. Furthermore, using nicknames or omitting middle names can cause unnecessary delays and result in missed records or false positives. This also includes hyphenated last names. Similar to criminal records, civil records are greatly impacted by our researchers using the correct, full legal name of your applicant. Identifiers are hard to come by in civil record searches so the more information we have, the better! Employment records are filed by name – if we don’t have the right name the employer is unlikely to find the employee files. As more employers are moving to third party sources for employment verifications, searching for an employee’s records is becoming nearly as consequential as court records. Again, similar to the above, an education verification is unlikely to be successful without the correct name. Here, especially, it’s important to confirm with your applicant the name under which their degree is filed to uncover name changes and maiden names. OK, this one is pretty safe because an MVR usually runs off the driver’s license number alone, nearly every time. However, some DMVs require a name and license match – if the two don’t completely match the results they provide are: no record. Yet again, similar to the above, medical registries and sanction lists are unlikely to produce accurate results if a misspelled name or nickname is run. Similar to verifications, if a license was held under a former name or maiden name, this must be the name provided. Honestly, you’d be surprised on this one – for whatever reason, between the request and what the lab gets as a name, if the name doesn’t match it really doesn’t match. Ask your applicants to provide their legal name for all background check and drug test documentation. Also, advise your applicants that the collection site and lab operate under the same HIPPA standards as their doctor’s office so it’s safe to provide their SSN, DOB or Driver’s license number as a secondary means of identification… just in case the lab tech has a typo the additional information will help us match the results to your request. The name searched equates the results provided. 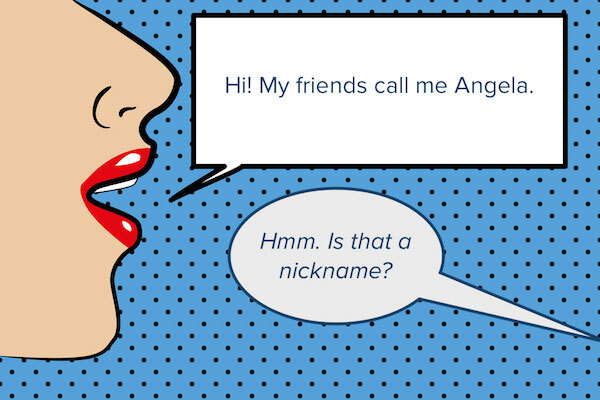 Running nicknames or sending a name with a typo can impact the results. Although workers comp can’t be used to influence the hiring decision, these searches are extremely valuable when confirming past work injuries and making appropriate accommodations. Well, that just about covers the main places a name could impact your background check results! The name provided impacts all services under the above mentioned categories, like Federal Civil Searches, National Criminal Searches. Although some services are based on multiple identifiers, the applicant’s name arguably has the greatest impact on the search results. If you notice a typo – let us know right away!! Do you have questions about background screening quality and the impact of a full legal name?